Taxes are a part of life that many people try to forget about until April 30th, but saving money on taxes is a project that requires consistent attention. There are usually a few surprises that come along with the printing of new tax forms each year, so getting a jump on smart tax habits means taking a look at potential tax deductions a few months before April 30th comes around, so you don’t end up dipping into your emergency fund to pay off those taxes. Far too many individuals reach their 40s and 50s without considering retirement funding, and making maximum payments into a registered retirement savings plan (RRSP) is important. These accounts are the easiest and automatic way to save money for retirement and lessen tax requirements. Even though it’s not an interesting way to spend money in one’s 20s, considering an early start on an RRSP is always a good idea. The tax laws change every year as far as what items are deductible and why those purchases might offer a reduction in taxes paid. The only way to take care of those last minute or unexpected write- offs is to make sure that every receipt and purchase during the year is recorded and saved in some way. Storing a box somewhere in the home where all the receipts can be dropped during the year will mean that evidence of all purchases is easily located at tax time. An extraordinary number of expenses associated with a rental in the home are available for deduction off yearly taxes. Renting out a room is a great way to save money on taxes due to expenses such as minor repairs and maintenance associated with keeping the rental habitable. These repairs and maintenance issues would be required in a space whether it was being used as a rental or not, so there’s no reason not to try and get those expenses reduced on a tax bill. Several deductions exist for Canadians who choose to invest their money in various accounts and purchases during the year, and it’s vital to keep track of each of these deductions. For many types of brokerage accounts, there are opportunities to deduct the amount of interest or fees paid during the year. It’s also possible to write off losses from capital gains losses experienced during the year. A business doesn’t need to be profitable, or a huge money- maker to save a person money on taxes. There are an incredible number of write- offs associated with starting a business. It’s possible to take part of the costs of driving a car, running a home office, and various utilities associated with that home office off a tax bill. If the business actually takes off, there are additional deductions likely possible from working under self- employment status. Finding tax deductions is often best accomplished by paying extreme attention to detail and making sure that all records of all transactions during the year are stored somewhere so that when the day comes to fill out tax forms, a tax bill will be much lower. Why is Gold Such a Good Investment? From the earliest days of modern civilization, gold has always been a great commodity for trading and storing. 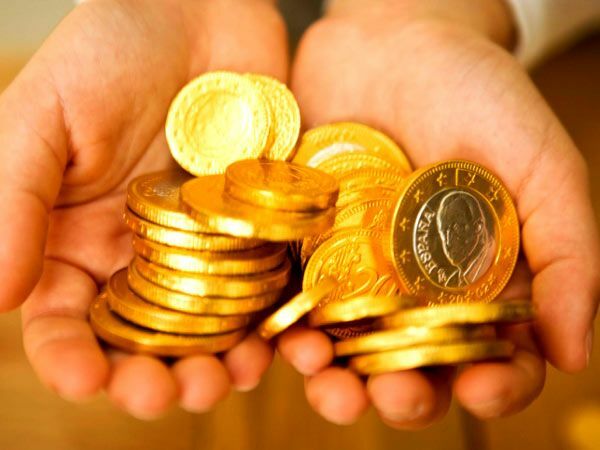 Gold prices have continued to rise even through economic downturns, and nowadays it’s being touted as a great way to earn money with relatively no experience necessary on the part of the seller or buyer. Because there has always been a demand in this precious metal, most investors will purchase gold without thinking twice. While buying blind will offer some form of profit margin, the best time to invest would be during slow economic growth. Some signs would be falling energy prices and currency exchanges. Gold buyers tend to have greater profit margins during these times because distribution costs also go down. Public speculation of gold has also kept prices relatively high. While there’s always a chance that this bubble will burst, it won’t be as drastic as other financial crises as gold has become so entrenched in the world market that there will always be buyers who will push it back up. Economic scares should therefore be taken lightly when it comes to buying gold. There will always be some form of discouragement when it comes to buying precious metals, but when it comes to gold, prices will always go two ways: remain stable or go up. The Canadian dollar rose in value after sinking to its lowest levels in over two weeks, largely due to rumors that banks will announce new fiscal measures in order to boost economic activity in the country. The dollar had previously fallen alongside the different debt crises in the European Union. The new speculation jump-started Canada’s currency to its highest one-day gain this month. Some speculators are now buying more Canadian dollars in the hope of short selling them when the time comes. Current 10-year bonds are now fixed at yield of 1.705 percent, just a little below the 1.765 percent rate of previous bond offerings. In contrast to the Canadian currency, the stock markets were largely unaffected. Oil prices also remained stable, hovering a little above $89 in US trading. This has caused some concern to speculators as stocks and oil usually moved with currency changes. Still, traders are cautiously watching the market for sudden changes. In international markets, many investors are now leaving behind the Euro and Sterling currencies and moving to different American and Commonwealth dollar currencies. Like the Canadian dollar, these greenbacks are now rising over the Euro zone’s concerns of stagnant growth due to the financial concerns there. Equity in your Home: Is it Wise to use it? There has been a change in the financial situation in our generation with respect to our earlier generation. About 30 years ago, our parents tried, and were mostly successful, in paying off their mortgages by the time they turned 40. After attaining this financial freedom, they started enjoying their lives by spending money in areas of their choice and interest. It was possible for them to be debt free so early in their life because at that time, the average mortgage value of a house was about two to three times of a person’s annual income. The strategy adopted by our parents may not be suitable for us because of the simple reason that the average mortgage value of a house has now become approximately six to nine times of a person’s annual earning. So it is extremely difficult, if not impossible, for an average Canadian to become debt free around their middle age. Waiting to enjoy life till all the loans are paid off may not be a wise decision anymore because you may be able to reach that stage only when you are too old to enjoy things. A solution to this issue can be to borrow against your existing equityafter you have been able to pay off most of your debts. By doing so, you will be able to invest and spend money in areas of your liking with a comparatively low debt against your name. However, borrowing extra money to enjoy life in the prime should be done only in case it does not put you in additional financial stress. In some situations, it is wise to sacrifice in the house size, thus reducing the mortgage amount, and using the spare money in something you like. Home ownership is a goal that most people have. But can you be sure that it is the right decision for you? Your finances are an important factor in buying a new home. You need to be certain your finances can withstand a mortgage payment, as well as maintenance, repairs and utilities. Are You Planning To Stay In The Area? If you are not intending to remain in the region in which you are considering purchasing a house, it could be better to simply rent. Purchasing a home is a big commitment and you may end up losing money if you may be moving within the next few years. 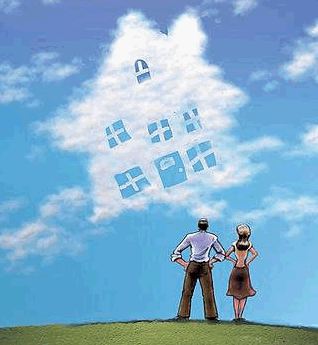 When purchasing a home the market is an important factor. This will assure you get the best value for your money and that you get the best interest rate possible. If the market is not in your favor, you may try waiting a short while and it will probably change soon. Before making the decision to purchase a home, you have to ensure you are prepared. Use the information from this article to assure you make the best decision for you. As more and more people enter obesity, investors are looking to act on businesses that might be able to capitalize on this particular demographic in the future. Speculators are looking at commercial and health care concerns that may be able to address the concerns of obese people. In particular, the pharmaceuticals industry, food industry, nutrition industry and sports industry stand to benefit from this market. Those in pharmaceuticals will be able to address the medical concerns of larger people, not only in terms of medicines, but also with equipment like larger-sized beds and mobility devices. On the other hand, weight loss and nutrition businesses will want to advertise the benefits of their health regimen. So too with sports companies who will most likely sell both clothing and equipment to entice buyers to shed off extra pounds from their bodies. Of course, the biggest winner will most likely be the food industry where almost $700 billion in revenues were generated in the US alone. While the topic may seem strange, investors have been looking at different trends over the past decades to see what emerging concerns may need a sizeable investment in the future. As of this decade, obesity has been slowly climbing the ranks of trending topics and will soon be a by-word in financial markets. Because of its health implications, investors are looking at a long-term scenario where the aforementioned industries will continue to function for 20 years or longer. Let’s face it; sometimes in life there are times that require cold hard cash. Unfortunately, if you’re like millions of people in the world, having an emergency fund is not on your list of things to do. Although it may seem like saving money for a rainy day can be difficult, there are things you can do to make it easier. A cool way to get the nest started is to start small. Setting little goals, like saving all the change from your dollars is a great way to get the ball rolling. For some people who are in a more difficult position it might be more substantial, like paying off an outstanding loan and not reborrowing. You will be surprised at how much money you save from saving your change. One thing that you should consider is the accessibility of the funds. Do you want to keep it in a jar on the counter, or keep it in the bank? Having quick access to the money is important. If you’re thinking of keeping the money in the bank, make sure you have a debit card to withdraw the money. If you’re thinking of investing the money you already have, and you want a higher return, you should look into a TSFA account, it has great tax benefits, and will give you the best returns.